We would like to welcome you to Noble Smiles Dentistry. We are a practice that focuses on convenient dentistry for busy professionals and families. Our offices are comfortable, and patients can look forward to a broad range of amenities. We provide access to Netflix, movies, games, a beverage bar and much more. During your dental treatment at Noble Smiles Dentistry, you can also relax with the help of complimentary pillows and blankets. 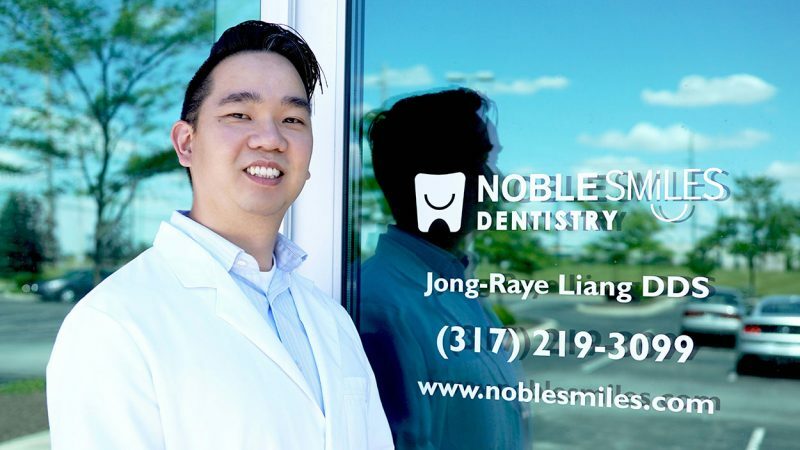 Noble Smiles Dentistry performs both cosmetic and restorative dental treatments. In addition to general dentistry such as checkups and cleanings, we are invested in the newest technological advances. Our patients have access to revolutionary treatments including Six Month Smiles and Invisalign Aligners. Most importantly, our patients are like our family. We strive to create a comfortable atmosphere for our patients who visit us from Noblesville and the surrounding communities. Our office is energetic, friendly, and we’ll help you understand everything you need to know about your oral health. Feel free to browse our treatment pages to find out about the treatments from Noble Smiles Dentistry. We also invite you to contact our office and have a friendly chat with a member of our dental team.